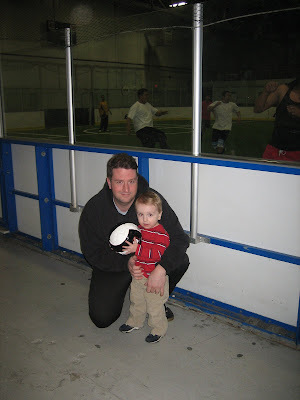 Richie has been very interested in the fact that Daddy plays soccer on Mondays so we decided to go see him. 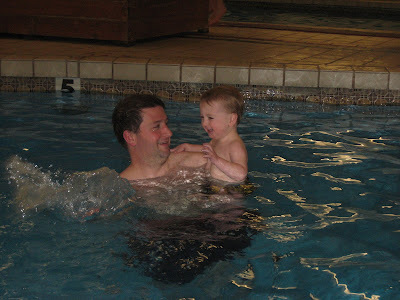 It was a lot of fun and he was very impressed that Daddy really did play. And we were good luck charms because Chris got 3 goals, one with his head! Chris said that wasn't usual. And since Lucie's Dad plays too, we got to see her. She is surely good at walking already. The kids will be playing soccer together in no time! 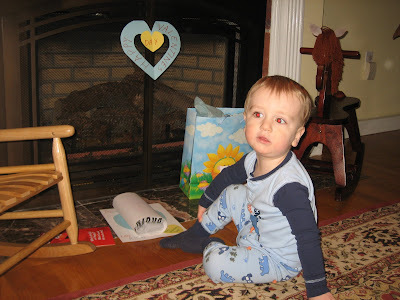 We had a really fun Valentine's weekend. Lots of presents, things to do and family time. Reading his new book "Hello Wally" wearing his new Red Sox hat. Eating chocolate at 7 am. We made pizza one night and had heart shaped ravioli another. And he had to wear his Nemo shirt to see Disney on Ice. 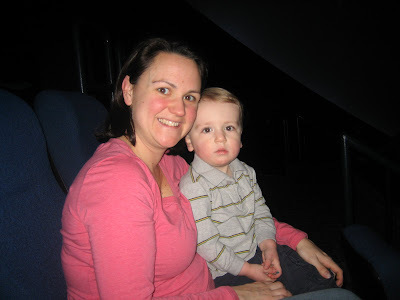 We started off the long Valentine weekend with a Mommy/Richie day to the Museum of Science. It was a great time, but a Museum that he is still a little young for. The best part of the day was seeing our first movie!! I may not have picked the best one because I decided that an Imax movie would be great being only 50 minutes long. Well I forgot that they are REALLY loud and kind of scary. It actually makes you feel sick to your stomach at times. Well he went in and was petrified. He clung to me so tight, but knew he wanted to stay. We sat near the door in case we needed to make a quick exit. But we didn't! He got used to it, said he liked it, then fell asleep! It was a first although it may be a while before we go again. It was a fun weekend spending some time with friends from Clarkson. We went to Loon Mountain and stayed at this beautiful huge condo that Brad Besse's Dad let us all use. We went snow shoeing, sledding, and swimming. Richie had a blast because he got to hang out with a whole bunch of his little friends. They are all girls of course! Adelle (Besse) and Olivia (Howarth).......Lucie (Revette) was napping. We also saw the Cummings and Clougherty's. Fun weekend guys! 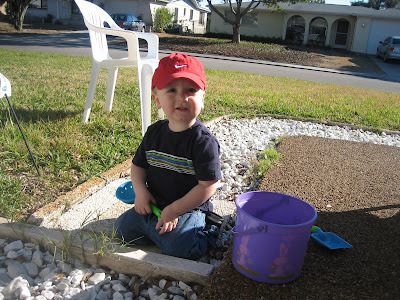 We spent a long weekend in Florida with Babci to get some more cleaning done on Grandma's house. It wasn't a beach weekend, but there was no snow and we could wear short sleeves....good enough for me for now!